Say NO to ban at Incandescent light bulbs! Nope. Funny how this came up a decade before this style etch came along on the soft whites? Yep, if Mexican GEs followed the US date code system right to the same years, this is January 1974. I got two in a sleeve. Cool lamp! 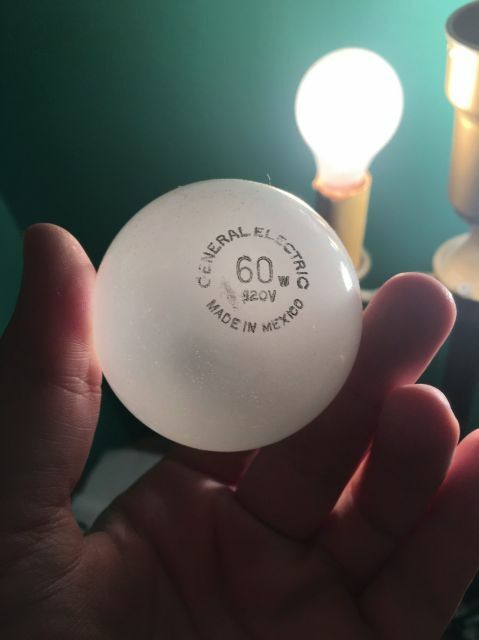 Never knew GE made GLS bulbs in Mexico in the '70's, and ironically this is the same year GE made their C-6 series Christmas lamps there, and then dropped them completely. gotta love those screwball liberal democrats running GE!